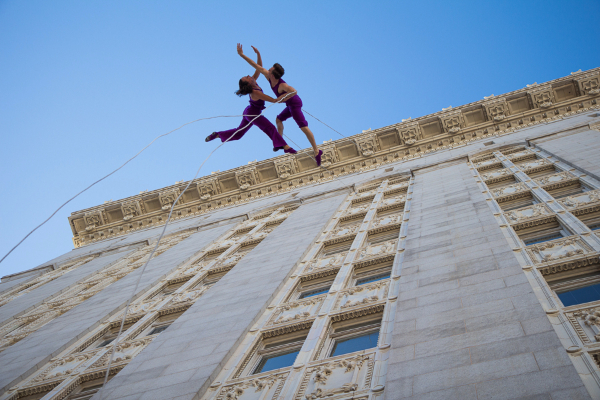 BANDALOOP is thrilled to return to the sides of Oakland City Hall to perform again this year at Art + Soul for a FREE performance! Save the dates as well for open rehearsal in their Oakland studio and for a performance at North Carolina State University. 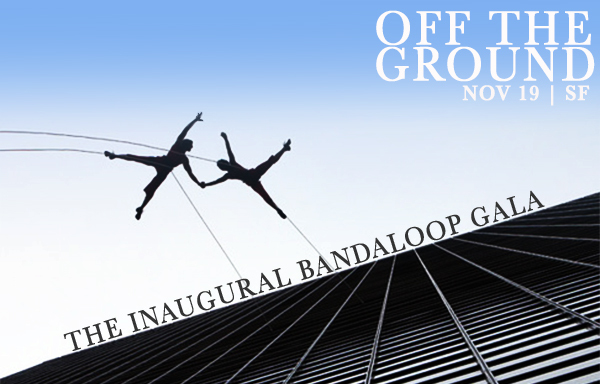 BANDALOOP is pleased to announce its inaugural gala. Founder + Artistic Director Amelia Rudolph, Executive Director Thomas Cavanagh, and the BANDALOOP Board of Directors and dance company hope you will join them for this special evening. Reception to follow with hors d’oeuvres and the premiere of "Crossing"
Join BANDALOOP company dancers at the Oakland studio! Come learn how to dance on walls under the excellent guidance of BANDALOOP company dancers and experience the team's culture of teamwork and safety firsthand. Gift certificates are available. Share the word with fellow dancers and friends!